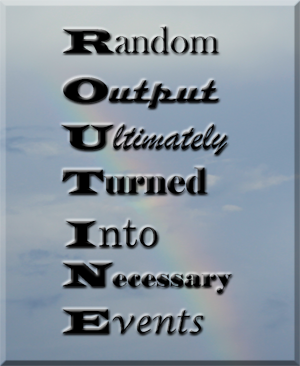 I think we can all agree that a generally accepted definition of routine would be consistently doing the same thing the same way, over and over again in anticipation of achieving the same result. We all have them, whether it’s the morning routine for getting ready for work that ensures we don’t forget our deodorant, or our bedtime routine where we carefully check to make sure all doors are locked, or how about always putting your socks on before you step into your pants. As healthcare professionals, we have routine orders, routine meds, routine procedures – all prescribing a specific course of action that we are compelled to follow. Lia has a routine. Several, actually, depending on the day of the week. They are specific courses of action that she feels compelled to follow. 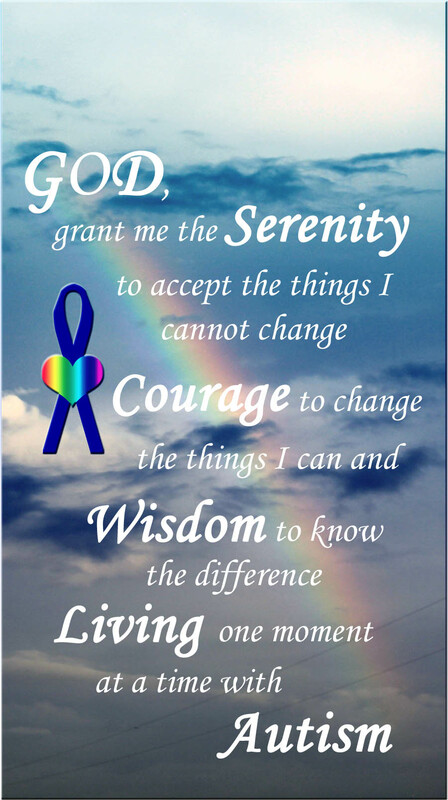 I am told that for many people living with autism, adhering to routine can be a key component to being able to make it through the day with an intact sense of self, and an intact sense of balance. If you have ever seen the movie, “i am sam”, you may recall several scenes that reference the value of routine, such as Sam’s meltdown when he and Lucy try a new restaurant instead of having their usual Wednesday night at Denny’s. If you haven’t seen the movie, trust me, it gets a little tense. While there’s something to be said for having certain routines, like knowing what you should be doing at a given time, a break in routine is no big deal right? So what if I forget to put my socks on first, I’m not going to take my pants off and start over. I stay calm and carry on. With Lia, breaks in certain routines tend to send her completely off-kilter. Calm flies out the window. I was curious to know why? So I watched her to see what happened when her routine was disrupted. I have found that she notices almost immediately when some outside force causes a deviation in her routine, and she often responds to the change with an extreme lack of grace. It’s as though she becomes lost and confused because she doesn’t know what to do with herself. Like she is crossing a bridge and comes to a spot where there’s a huge gaping hole, and she doesn’t know how to navigate beyond the hole. I’m just guessing, but I can see how that might set her off. Generally, when Lia says something or does something that elicits a response that she finds desirable, she will repeat the behavior again, and again, and again, and again, always trying to duplicate the thrill of eliciting that initial response. She barely deviates from the original steps. If I should forget one of my parts in the action, she will correct me, “No Bekka,” as she extends her hand like a traffic cop, commanding me to stop, “yadda gamma subthuth,” she explains impatiently. And then she gives me another chance to get it right. I try harder this time. I don’t want to disappoint Lia. She doesn’t understand that moments of bliss like that can only be imitated, never duplicated. So, she keeps trying. And it becomes a routine. This entry was posted in Lessons Learned and tagged autism, routine. Bookmark the permalink. « Does it Ever Get Better?